Please type your desired tags, e.g. Theoretical, Physical or Analytical, Geoscience, Mathematical Science, Criminology & Criminal Justice, Critical Infrastructure, Hyperpolarized MRI, Bioanalytical Chemistry, Epigenetics, Professional Communication, Publishing, K-12 Education, American and British Women’s Literature, History of Medicine, Trope of monstrosity in literature and film, Texas History, and etc. 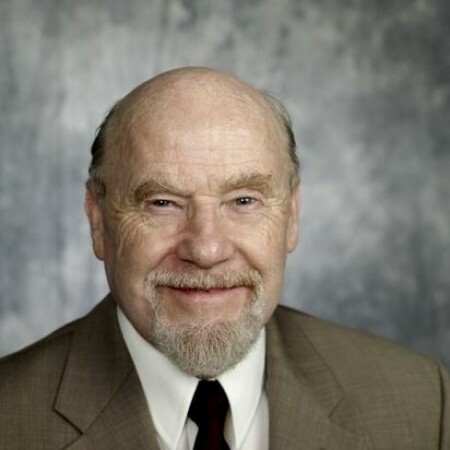 Dr. Tinsley has been actively involved in observational and theoretical research on upper atmosphere processes (Aeronomy) for more than 45 years, and has served on many national and international organizations in this field. In 1986-88, while serving as Program Director for Aeronomy at the National Science Foundation, he had the opportunity to discuss long-standing problems in atmospheric science with program directors in areas of meteorology. This led him to begin research on the centuries old question of the effects of changes in the sun on day-to-day weather, and year-to year and century time scale climate change. During the past 23 years he has been author or co-author of more than 40 papers on such effects, including both data analysis and modeling. He has developed a theory that involves the solar wind, as an alternative to the traditional view that changes in solar brightness were responsible. The solar wind is a highly conducting, extremely hot gas that blows from the sun outward over the earth. It impedes the flow of high energy cosmic ray particles coming in from the galaxy, and energizes high energy electrons in the earth's radiation belts that precipitate into the atmosphere; both of these effects change the column conductivity between the ionosphere and the earth's surface. The solar wind also changes the potential difference between the ionosphere and the earth in the polar cap regions, and guides solar flare particles into the polar caps. All four effects alter the ionosphere-earth current density (Jz) that is part of the global atmospheric electric circuit, and which flows down from the ionosphere to the surface and through clouds. In the gradients of conductivity at boundaries of clouds and aerosol layers and near the surface (espcially near ocean surfaces) the current flow generates a changing potential gradient and a layer of space charge (unipolar charge) in accordance with Poisson's equation. This charge is transferred from air ions to aerosol particles and to droplets, and is convected upwards into storm clouds. It allows much higher charges to persist on aerosol particles or droplets than would be the case without Jz. There are good correlations, on the day-to-day time scale, between the four solar wind - modulated inputs to Jz mentioned above and small changes in atmospheric temperature and dynamics. Similar changes are found with Jz changes due to the thunderstorm generators of the global electric circuit. Dr. Tinsley has hypothesized that the atmospheric responses are due to changes in the electrical interactions between charged aerosol particles and droplets. One process applicable to clouds with their tops above the freezing level is the electrical enhancement of the rate of scavenging of ice-forming nuclei (IFN), that increases the rate of contact ice nucleation. This has consequences for cloud thickness and reflectivity to sunlight, and for precipitation rates and latent heat transfer, both of which are capable of affecting atmospheric temperature and dynamics. This mechanism also explains many reports of high rates of ice formation in certain types of clouds that has been a long-standing puzzle for cloud physicists. A process that is applicable to liquid water clouds appears to be caused by changes in the concentration of cloud condensation nuclei (CCN) due to electrical effects on the production and rate of scavenging of CCN. This charge modulation of aerosol scavenging (CMAS) increases the scavenging rate and decreases the concentration of the large CCN (electroscavenging) but decreases the rate of scavenging (electro-anti-scavenging) and increases the concentration of small CCN otherwise due to diffusion scavenging. This changes the droplet size distribution in subsequent cloud formation, and reduces the droplet coagulation and production of rain. This allows more liquid water to be carried above the freezing level in deep convective storms, (the Rosenfeld mechanism) and the extra release of latent heat of freezing invigorates the updrafts of the storm. In winter cyclones this increases storm vorticity, and explains many reports of winter storm vorticity correlated with Jz. By extension this applies to effects on winter severity in the UK and Western Europe at solar minima, when Jz is tens of percent higher than at solar maxima. The link is sustained storm invigoration over solar minima winters enhancing blocking situations that reduce the flow of warm, moist air off the ocean. In layer clouds, changes in CCN concentration affect drizzle production and cloud lifetime and cloud cover (the indirect aerosol effect). In addition, electrical scavenging effects may explain the discrepancy between rates of aerosol scavenging by falling rain that have been observed in comparison with those calculated without adequately accounting for electrical effects.Also, there are well documented correlations of climate during past millennia with cosmic ray flux changes. These can be understood in terms of electrical interactions between cloud droplets and aerosol particles responding to solar wind-induced changes in atmospheric ionization and in Jz, as discussed above. Observational and theoretical work on effects of global atmospheric electricity on weather and climate, both from external (solar wind) and internal (e.g., thunderstorm) sources. Models of effects of current flow in the Global Electric Circuit on charging of aersols and cloud droplets, and effects of such charges on cloud microphysics. 2019/02	A video of this presentation is available. This presentation discusses the work of my colleagues and I for the past 30 years, and the larger scientific community for the past two centuries, have been doing on the search for mechanisms connecting activity on the sun, for example as seen in sunspots and in space weather, with natural changes in ambient weather and climate. Convener, 1989 AAAS Symp. "Weather and Climate; Solar Variability and QBO Connections"
Tropospheric Effects of Solar Variability and the QBO"
Convener, 1989 AGU Symp. "Mechanisms for Atmospheric Effects of Solar Variability and the QBO." Convener, with G. Keating, 1991 AGU Symposium "Atmospheric Response to Solar Photons and Energetic Particle Radiation"
Convener, with K. Beard, 1996 Workshop at Los Alamos National Lab., "Links between Variations in Solar Activity, Atmospheric Conductivity, and Clouds"
Convener, with O. Troshichev, 1997 IAGA Symposium, "Solar-and Solar Wind Effects on Weather and Climate". "Space Processes and Electrical Charges Influencing Atmospheric Layers' -(SPECIAL). Convener, with O. Troshichev, 2004 AGU Session "Forcing of the Antarctic Stratosphere and Southern Tropospheric Circulation by Solar Activity"
Convener, with S. Lloyd, F. Yu and H. Svensmark, 2005 AGU Session "Cosmic Rays, Clouds, and Climate"
Convener, with J. Pap, 2010 COSPAR sessions on "Solar Variability, Cosmic Rays, and Climate" at Bremen, Germany, July18-25, 2010.